Now with the US Congress debating measures to strengthen existing gun laws and President Donald Trump releasing a plan to increase regulations – albeit a less intensive plan than initially promised, it appears legislative action on firearms could move in Congress. Activists throughout the country will march Saturday pushing lawmakers to act as part of what’s become known as the March for Our Lives. It is true that in many countries outside of the US the number of gun deaths per 100,000 people is much lower – though the US is nowhere near the highest rate. To get a more global perspective on the issue, we asked colleagues from some of Business Insider’s international editions to answer a few questions about gun laws in their country. What do you think about President Trump’s proposal to arm more teachers and trained professionals in schools? Long and relatively difficult. Police need to give you a licence to buy a gun or ammunition. To get a licence, you need to fill out a 15-page form specifying what type of gun you want, and why you want it. Valid reasons include shooting for sport or pest control, as well as gun-collecting and study. Self-defence is explicitly ruled out as a good reason. If the police later decide you shouldn’t have guns, they can require you to give them back. You also have to tell the police every time you buy, sell, destroy, or lose a gun. 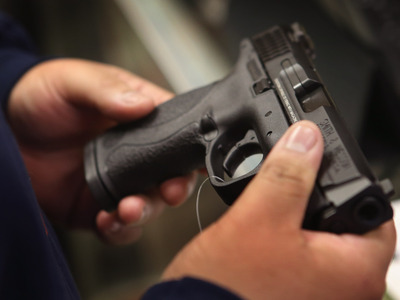 There’s a blanket ban on pistols, and most semi-automatic rifles are prohibited too. Shotguns, hunting rifles and some other firearms are allowed. No. Gun crime does exist, particularly in parts of London where gangs are active. But most Brits would not rank “getting shot” very highly on the list of things they worry about. In Italy, people can buy and possess a gun for three different reasons: self-defence, hunting and sport shooting. They have to get a gun licence from the police (in Italian: “porto d’armi”) and abide by specific physical and psychological requirements, including: no psychiatric problems, no alcohol and drug dependence, and must be over 18 years old. In particular, people who want a gun for self-defence have to demonstrate a valid reason, which justifies the need to go armed. In addition the licence, the possession of guns and ammunition has to be reported to the central police station. The whole bureaucratic process can last 90 days or more. In general, people can own up to three guns, six firearms for shooting sports and an unlimited number of hunting rifles, but can’t go out bringing these with them if they don’t have the authorization. For instance, “with a self-defence licence I can go out with a semi-automatic gun with 12-13 bullets or a revolver with 5-6 ammunition,” Carlo Biffani clarifies. Trump’s proposal after the Florida school shooting has fuelled a huge debate in Italy, covered by national media. It is very hard to measure the fear of being shot but experts have assessed the level of insecurity perceived by Italians. Despite a reduction of murders, thefts and robberies committed in the first seven months of 2017, Italian perception of criminality remains high. The last report of the Italian institute Osservatorio europeo sulla sicurezza (2017) shows that the level of insecurity linked to criminality has reached 41.4% in 2017 and 41% in 2016, less than the 50.3 % registered in December 2012. This level of insecurity grows if the analysis considers the data about Italians’ fear of terrorist attacks: the value has increased in the last 7 years, from 29.3 % (November 2010) to 44.3 % (January 2017). You have to be at least 18 years old. There are some exceptions, for instance a member of a rifle club can shoot at the age of 13, but only at those clubs. You have to have a firearms licence, which are rather difficult to get if you are not a hunter or a member of a rifle club. 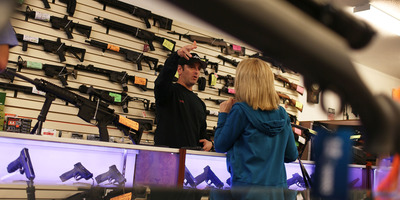 In order to get a licence, there are background checks and you can only buy weapons in licensed arms shops. You can inherit a weapon: but you have to show a valid owner’s licence and you have to safely store those weapons and the ammo so that no one else can grab it. Because our gun laws are relatively strict, many try to get guns on the dark web or through other illegal channels. You have to wait at least four weeks (hunter licence, usually much longer) or one year (shooting licence). Then you can buy a gun relatively quickly. You just have to register with the local authorities. I’ll just tell you first which types are NOT legal: fully automatic weapons and bump stocks. Our law says in effect all weapons of war. Semi-automatic weapons (only for licensed hunters and rifle men/women) and small weapons require a firearm licence. Crazy. One would never consider such a proposal here in Germany. I suppose our people would be appalled. I think teachers should have other qualities than being able to target and shoot a would-be serial killer. No. Not really. Just police carry guns in public- usually just small handguns. It may differ slightly in more obscure places in some districts in Berlin or other larger cities, but my guess is most Germans don’t worry about it. You need to contact and apply for a licence from the police authorities. In the application, you will need to fill in a form stating who you are and why you need the gun. Common purposes for applying for to be able to own a gun are: hunting (needs a hunter’s degree certificate), target shooting (needs association certificate), buying from a private person (original licence from transferor needed), and memorial (certificate as well as a description of relationship needed). 6 weeks on average to the get the licence from police. Owning a gun for private use or security is strongly prohibited by Swedish law. It is also illegal and punishable to own a gun if you do not have a licence for it. Generally, Sweden is very conservative and restrictive when it comes to guns. 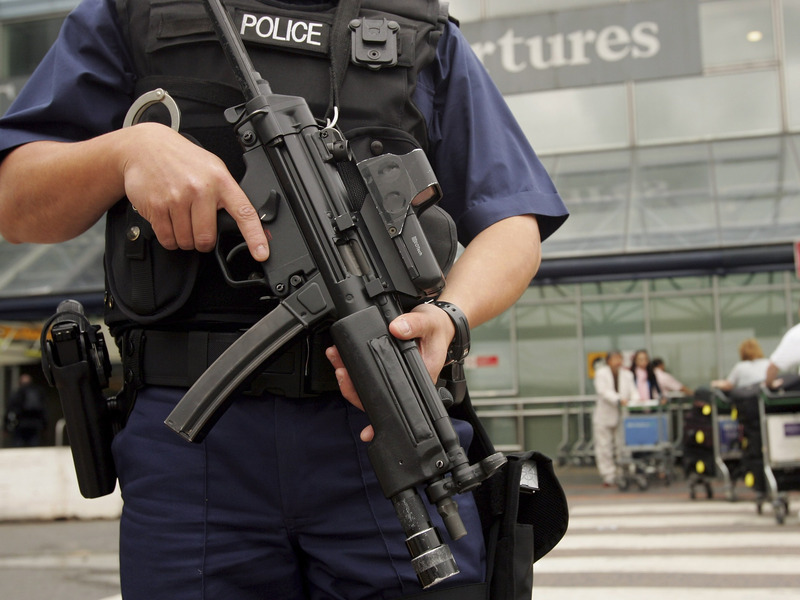 Even professionals, such as police, are often criticised for abusing their power to use guns. The proposal by Trump has not been seen as positive and has just been viewed as another act of his erratic behaviour. The first thing is to obtain a gun permit, the document needed to buy, possess and use a gun. To start you need to be of legal age (18 or older in Spain) and have Spanish or foreign nationality with granted residence. You need a photocopy of ID card, forms, payment of fees, background checks (criminal and gender-based violence) and a theory test of 20 questions (16 right is a pass). Finally you take a practical exam. Some permits (there are six types in total) require additional requirements such as being part of a risk group, having a hunting licence and being members of an Olympic shooting federation, but the overall process does not differ too much. 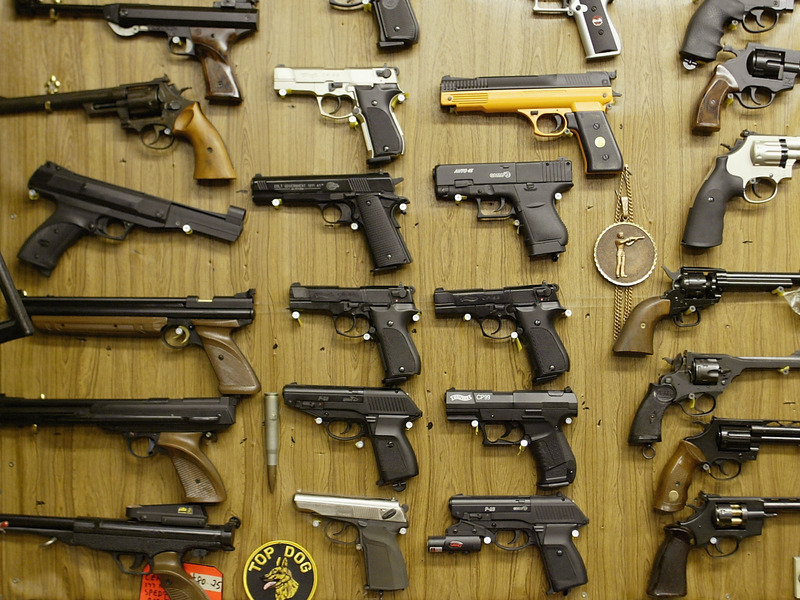 With the licence in hand, you can now go to an armory – or online – and buy a gun. The sale isn’t direct, either. First, the gunsmith must check all the buyer’s documentation. Once the purchase has been made, the buyer must pick it up at the Arms Intervention of the Guardia Civil, where they will give him/her the belonging guide and a different document from the licence issued for each weapon that you have (a licence can cover more than one weapon). Laborious, yes, but according to 2016 data from the Ministry of Home Affairs, only 1.2% of hunting shotguns permits – the most common weapon in Spain – were refused. The permits expire every 3 or 5 years and, depending on the type of weapon, it may be necessary to repeat the whole process. At least 6 weeks (the usual time it takes for the authorities to process application) but up to two months while you wait to be assigned a date to take a test, which they do in groups of 20-30 people. Unlike other countries, Spain does not encourage self-defence guns such as revolvers and pistols. Only those who prove to the Guardia Civil that they need to protect themselves – jewellers are the common example – are eligible for a small arms licence. Guns and revolvers, the most common small arms, are the most controlled (about 8,000, legally in the hands of private individuals). Military and automatic weapons are completely prohibited. Indeed, the legislation covers up to seven categories of legal weapons, but Spain, in this sense, is clearly a country of hunters. According to data from the Ministry of Home Affairs, 63.3% of the arms licenses granted in Spain are class E, i. e. for hunting shotguns. It is very surprising. Such a proposal would not even come up in a public debate in Spain. In recent years there has been debate on strengthening the teacher’s authority in the classroom, but this has nothing to do with carrying weapons. Of course there are cases of aggression against teachers and students, but they rarely involve any kind of weapon. A case that is somewhat close to this subject happened in 2015, when a 13-year-old student went to his school in Barcelona carrying a crossbow and knife. He killed a teacher and wounded four other people. But even then, the debate generated had to do more with improving the detection of potential adaptation problems than with arming teachers. Does the average person in your area fear being the victim of gunfire? In Spain, according to the Guardia Civil, there are today almost 3 million legal weapons (not including the black market), but there is little feeling of insecurity related to that. Many of the cases that come to light have more to do with settling accounts, drugs and macho violence, in addition to hunting accidents. According to World Bank data, the number of intentional homicides per 100,000 inhabitants in Spain in 2015 was 0.7; less than the 4.9 of the United States or even the 1.6 in France. If we look at violent gun deaths, and according to the Small Arms Survey that compiles WHO data, the number drops to 62 in 2016. Citizen insecurity does not appear either as one of the great concerns of Spaniards in the studies carried out by the Centre for Sociological Research, the country’s body responsible of reflecting the mood and opinion of citizens. Gun ownership is not a right in South Africa, and the requirements to obtain a licence are strict. For every gun every owner must undergo competency training with a registered trainer spanning theory, a practical test, and a section on the law. The trainer must certify the potential owner to be fit and competent to use the weapon – and to fully appreciate the legal rules on use – before anything else can happen. Under self-defence and sport-shooting licenses, every owner is limited to one handgun. There are several lengthy steps involved in buying a gun in Australia. The legislation is state-based, so for this example I shall quote the law in New South Wales (NSW), the country’s largest and oldest state with 7.5 million residents. Since the 1996 National Firearms Agreement, developed in the wake of the Port Arthur massacre, which killed 35 and was the last mass shooting in Australia, the country’s six states and two territories have amended and/or diluted their rules. What follows is thorough by US standards, but both sides of the debate argue the rules are either too onerous or lax. In NSW, you must be 18 years or older and apply for a firearms licence from the NSW Firearms Registry, which is managed by the state police. (There are minors permits for children aged 12-18). You need to have a genuine reason to own a gun, such as targeting shooting, primary production, hunting or collecting, or belong to an approved shooting club (as a club member, you need to comply with attendance requirements). Personal protection is not a “genuine reason” for a gun. You need to provide extensive paperwork to back up your application, which is granted at the discretion of police. You need to take part in a firearms safety training course with an accredited trainer before you can apply, and need to be a state resident. Once you apply, there is a mandatory 28-day waiting period, as well as criminal background checks. You can’t get a licence if you’ve committed a prescribed offence within the last 10 years. Those offenses include convictions involving firearms or weapons, prohibited drugs/plants, fraud/dishonesty/theft, drugs, terrorism, violence, public order, assaults against law enforcement officers, robbery, organised criminal groups, offence of a sexual nature or including being the subject of an Apprehended Violence Order. The licence also has category restrictions. For example, if you hold a licence for sport/target shooting, you can’t legally go hunting on a rural property. You would need to apply for “recreational hunting/vermin control” as a genuine reason on your licence. If you’re a farmer with a primary production licence, you need written permission from the landowner on an adjoining property to use your gun there. Your firearm must be registered and you’ll need a Firearm Registration Certificate for it, which includes its serial number and the registered owner. It must also be stored safety in a secured firearms box. Police will come and check your compliance. When you want to buy a gun, you’ll need to complete a Permit to Acquire (PTA) application and send it to the Firearms Registry to process. There is a mandatory 28 day waiting period to approve the permit, which you then present to a firearms dealer. A permit is needed for each firearm and it expires after 90 days. When you no longer require your gun, it must be disposed of by handing it in to police or via a registered second-hand dealer. Automatic and semiautomatic weapons are banned in Australia (although the latter is available in exceptional circumstances). The National Firearms Agreement put weapons into six categories. Category A includes rimfire rifles and shotguns (not semi-automatic or pump-action) and air rifles, while Category B is centrefire rifles with a bolt, pump or lever action. Both categories can be owned under most licenses. Category C is pump-action or self-loading shotguns with a magazine with up to 5 rounds and semi-automatic rimfire rifles with up to 10 rounds. Ownership is limited to primary producers, dealers, collectors and clay target shooters. Category D is the category C firearms with magazines larger than C-level and are restricted to government, occupational shooters and primary producers. Category H is handguns, which are restricted to target shooters, police and security guards. Automatic self-loading rifles are in the restricted weapons category, along with machine guns and rocket launchers, which a military-grade weapons. 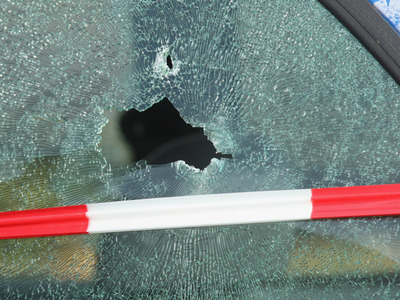 Armed response to a critical incident requires high levels of training. It’s hard to see how teachers would fit that into their skills base alongside the primary role. Putting aside their willingness to participate and the range of ethical issues, what happens when they accidentally shoots a student? Or, God forbid, an educator deliberately turns their weapon on students? In short, it shows a lack of imagination on the part of legislators to try and resolve every complex situation into the denouement of a Sam Peckinpah movie. Most Australians struggle to comprehend the validity of the argument that the best way to deal with guns is more guns. Our country chose the opposite direction. No. Gun deaths are overwhelming the result of self-harm, aside from the occasional high-profile gangland shooting and police using lethal force in confrontations – still a rare occurrence in Australia. Long-term crime trends involving firearms are generally falling. For example, assault involving a firearm in NSW is down nearly 19% in the last five years. A government study of firearms-related injuries found there were 338 hospitalized cases in 2013-14 and 209 deaths in 2012-13. Of those deaths, 80% were due to suicide, although that figure has also fallen since the 1980s. Based on those figures there were 1.5 hospitalized cases per 100,000 population and 0.9 deaths per 100,000 population. In 2015, there were 211 gun-related deaths in Australia according to University of Sydney’s GunPolicy.org database. The country’s population is just over 24 million. As a hunter, you need to do a training course, which always starts in September and takes half a year. Only 50% of the people pass the exam the first time. After that, there’s screening, insurance, and other bureaucratic things. Ballistic knives, stiletto knives, butterfly knives, nunchucks, brass knuckles, arrows, throwing stars, and fake guns without CE marking are forbidden. Same goes for military weapons like automatic firearms, hand grenades, mines, tasers, and weapons like pepper spray or tear gas. Only a select group of specialised collectors that meet certain terms and conditions can own these. In recent history, there was only one “sicko shooter” in the Netherlands. In April 2011, the 24-year-old Tristan van der Vlis killed six people and himself in a shopping mall in Alphen aan den Rijn. He had a gun permit. Since then, the law has become more strict and background checks have increased. Since 2013, all guns must be registered at the “prefecture” (administration office). Lots of people who own guns have a “hunting licence” that allows you to carry a gun if you are registered as “hunter”. You can also carry a gun if you have a permit and after 6 months spent practicing within a “club de tir” (an organisation where you can learn to shoot). There are also a lot of weapons from WWI and WWII that are still sitting in people’s attics, usually from their grandparents or great-grandparents. They also have to be registered, even if apparently it’s not always done. You have to train at a shooting range for 6 months before the club gives you an authorization. As for having a “permis de chasse” (hunting permit”), it takes a couple of months. You have to take an exam, and there’s one about every two months. B, C and D have to be “kept locked” in a safe or be disabled when not used. From our point of view, it’s an aberration. Nobody’s allowed to carry a gun freely so it’s not even a possibility. 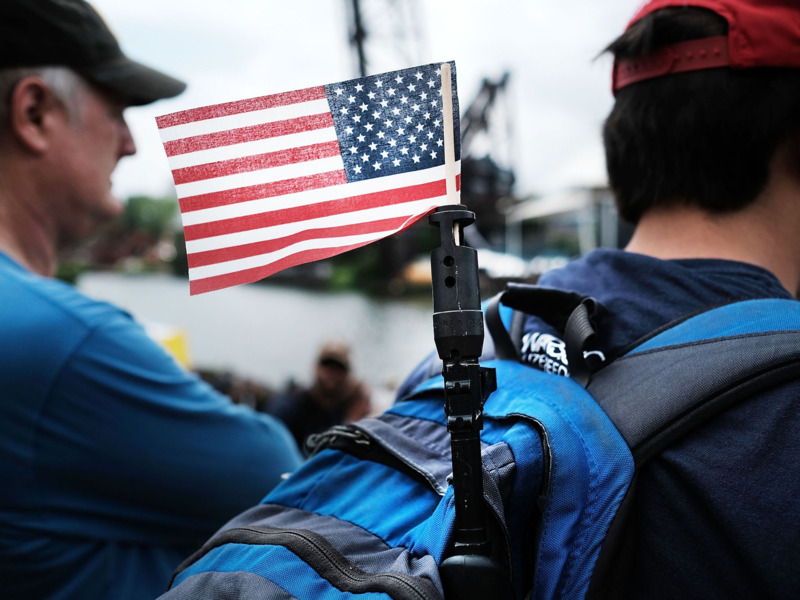 For example, a lot of people don’t feel at ease when they see military people walking down the street carrying riffles, they are in the military – imagine what it would be for civilians. When I see images of normal American citizens carrying their guns in public it gives me goosebumps. It is so abnormal for us. The vast majority here agrees there’s a link between gun ownership and the number of mass shootings in the US, it’s not really a matter of opinion, it’s more viewed as a fact – maybe because there is so little pro-gun lobbying here. Not gunfire specifically. But since the 2015 Paris terror attacks, people fear terrorist attacks a lot more than before. But even back in 2015, we didn’t have a “great debate” about gun ownership legalization. The subject has just never reached the national political debate sphere to the extent it has in the US.